Thermal map sensors help identify and eliminate hotspots in your cabinets by identifying areas where temperature differential between front and rear are too high. Thermal maps consist of a string of 6 temperature sensors and optional 2 humidity sensors. Pre-wired to be easily installed in your cabinet, they are placed at the top, middle and bottom – front and rear of the cabinet. 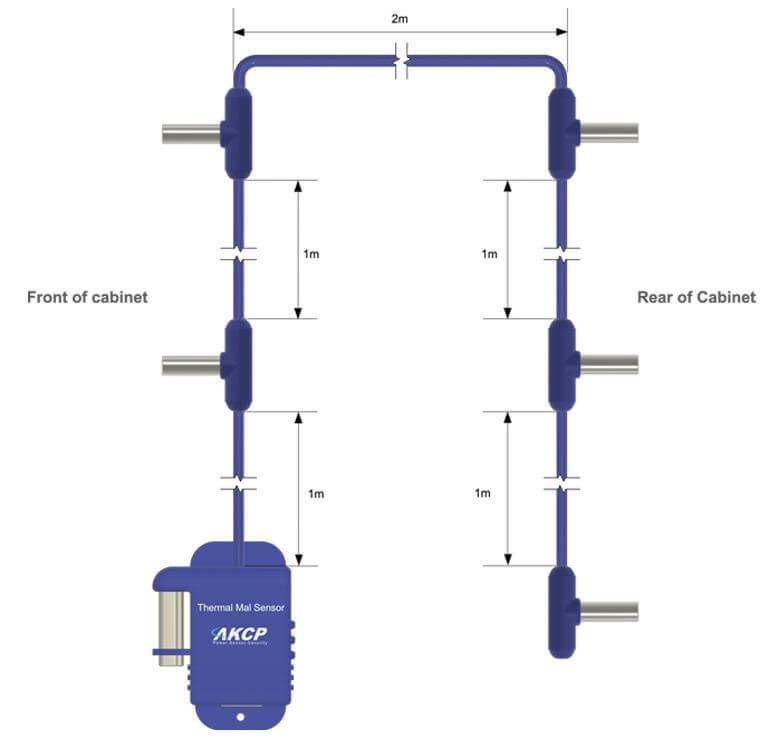 This configuration of sensors monitors the air intake and exhaust temperatures of your cabinet, as well as the temperature differential from the front to the rear. Use thermal map sensors to identify cabinet hot spots and problem areas. Thermal Maps are easy to install, come pre-wired and ready to mount with magnetic, cable ties or ultra high bond adhesive tape to hold them in position on your cabinet. Mount each sensor on the front and rear doors of your perforated cabinet so they are exposed directly to the airflow in and out of the rack. On sealed cabinets, they can still be mounted on the inside and give the same monitoring of temperature differential between front and rear, and ensure that airflow is distributed across the cabinet. Thermal map sensors connect to AKCP sensorProbe+ base units. 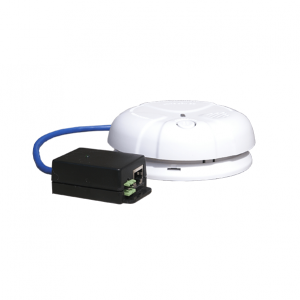 Extendable up to a maximum of 15 meters cable length, you can monitor multiple cabinets from a single IP address. Up to 16 thermal maps can be connected to a single SPX+. Cabling or other obstructions can impeede the flow of air causing high temperature differentials between the inlet and outlet temperatures. As fans age, or fail, the airflow over the IT equipment will lessen. This leads to higher temperature differentials between front and rear. When there is insufficient pressure differential between the front and rear of the cabinet, airflow will be less. The less cold air flowing through the cabinet, the higher the temperature differential front to rear will become. When the data is combined with the power consumption from the in-line power meter you can safely make adjustments in the data center cooling systems, without compromising your equipment, while instantly seeing the changes in your PUE numbers. Monitor up to 16 cabinets from a single IP address. 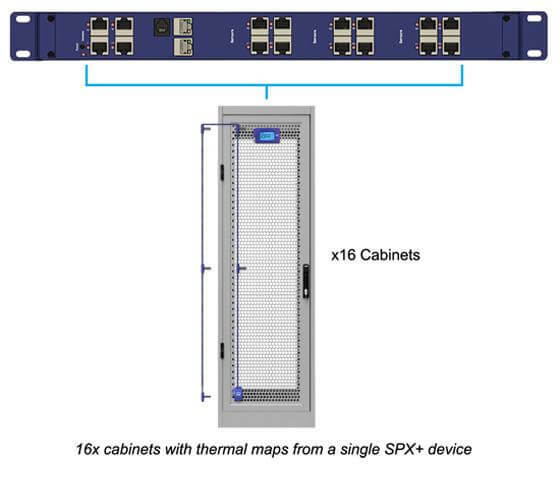 With a 16 sensor port SPX+, you consume only 1U of rack space, and save costs by having only one base unit. Thermal map sensors can be extended up to 15 meters from the SPX+. • powered by the sensorProbe+. No additional power needed. • Resolution 1% for the sensorProbes and 0.1% for the securityProbe units. 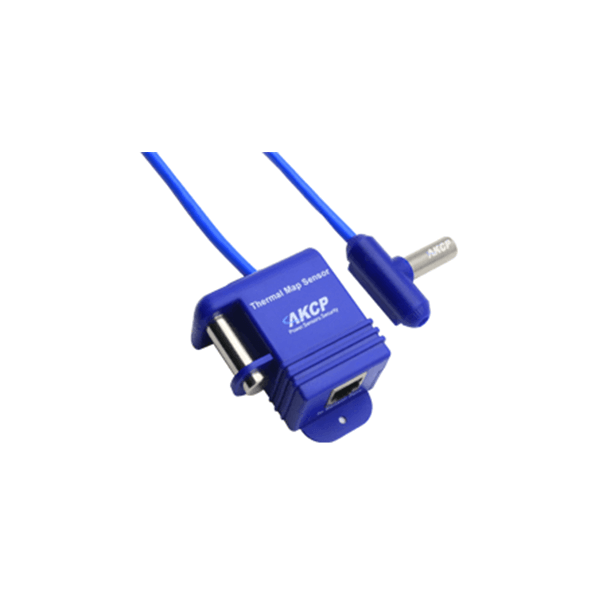 • Power Source powered by the sensorProbe. No additional power needed. Auto-sense sensorProbe+ unit auto-detects the presence of the Thermal Map Sensor and configures the unit automatically. 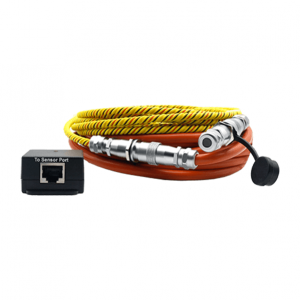 Important Note: The Thermal Map Sensor is only compatible with the sensorProbe+ and securityProbe+ platforms.